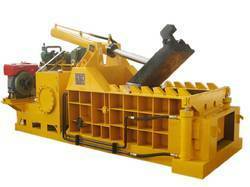 We are the leading manufacturers and suppliers of the Metal Scrap Baler. We are the leading manufacturers and suppliers of the Waste Paper Baler. 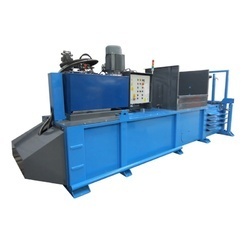 We are an eminent business firm that promises to manufacture and supply Paper Baler. Designed for pressing soft waste materials like plastic, paper, copper wire, cotton & wool yarns, corrugated boxes, pet containers and others, these bailers are suitable for containerized transportation. Clients can avail these machines in various sizes and dimensions in order to meet their specific requirements. Ideal for bailing bundles of papers, our offered machines are acclaimed for their durability. 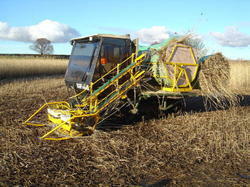 All our valued clients can avail Biomass Baler from us. Designed for forestry and agricultural biomass harvesting, these bailers are suitable to be used even in rough conditions. Clients can use these products on any type of ground. Furthermore, manufactured using advanced technology and high grade material, these products are known in the market for their durability and sturdiness. Over the period of time, we have established a firm foothold in the market for offering high performing Scrap Baler. 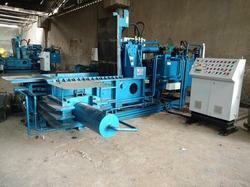 This type of bailer is used on high speed foil slitting line, as it is efficient in performance. A really safe system for winding thin scrap, this bailer is fabricated using advanced amenities and quality steel. Further, clients can suitably use these products for stainless steel, automobile and sugarcane.